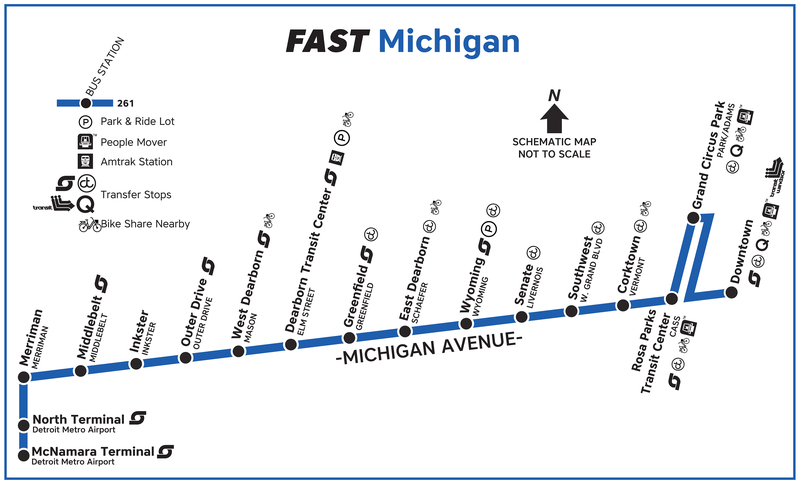 SMART Unveils FAST | Midtown Detroit Inc. 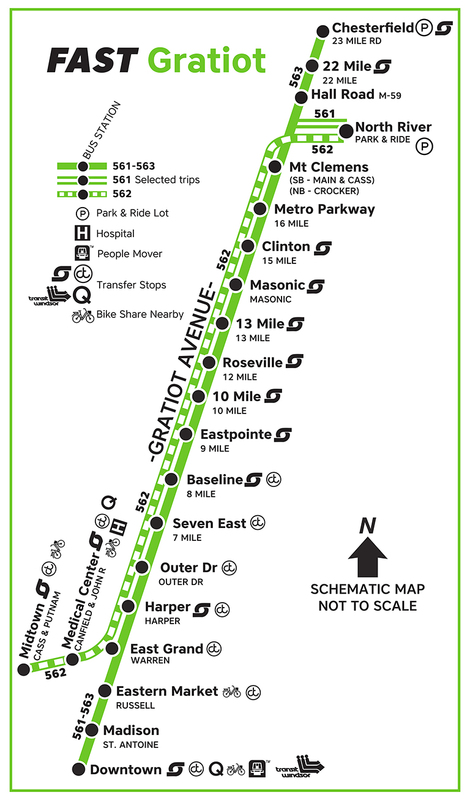 Unlike the traditional SMART routes, where there are stops on nearly every block, FAST only stops about every mile. This allows us to streamline the service and provide better access to destinations and transfer points. FAST buses come every 15 minutes for peak operating hours and operate 7 days a week, even late-nights and weekends. 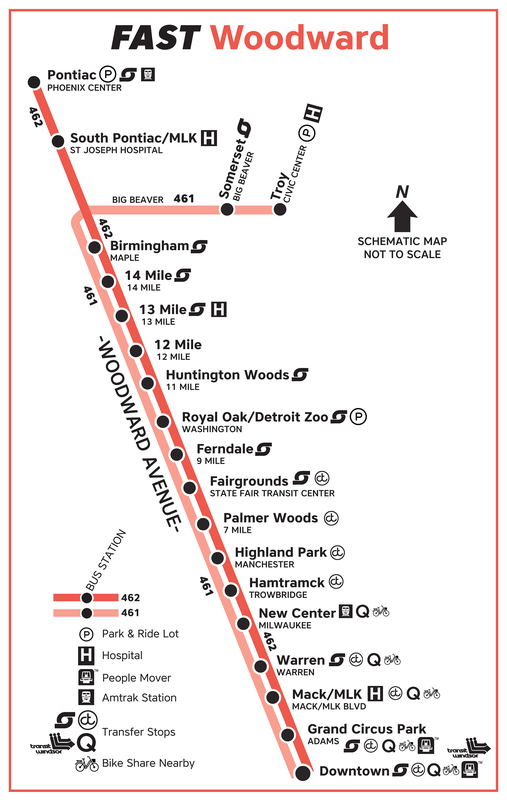 This new service never requires a transfer at the Detroit boarder.